If you want peace done right... ask a woman! Powerful, Passionate Women for Peace began as a moon circle where women from all over the world gathered in sacred ceremony in their own homes or in groups to celebrate the divine feminine and the moon goddess cycle, and to send peace forward. Today we maintain a monthly intentional prayer call (see Services page for more info on this) and take actions for peace in our various ways elsewhere. You may feel free to join us in spirit or in actuality. Are you Powerful? Are you Passionate? 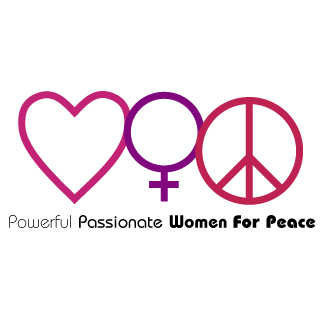 Are you for Women and Peace? Well then, I guess you qualify. In the center of Love and Peace you will find us-- steadfast. Welcome!